Hey I really enjoyed this Captain’s Log. Looking forward to more. Congradulations on Captain by the way! Have fun with the Dominion, Captain. 🙂 Oh, I guess I have to rename “Bryn” no name to “Bryn”, full name Bryn Aen. So you apparently read the “Neverending Story” by Michael Ende, judging from the name Auryn, hear hear. Right now we are still in the RSP (Reverse Shield Polarity) stacking era when it comes to longevity. In fact they are the only thing that makes cruisers more endurable than Science ships which have thicker shields. I wonder how they will compensate if they really implement the announced nerf to RSP stacking. For Tier 5 science vessels please remember, the Recon version is the much more agile and has one more Tactical Console. They apparently switched the stats with the DSV or wjust rote total BS in the T5 ship database. 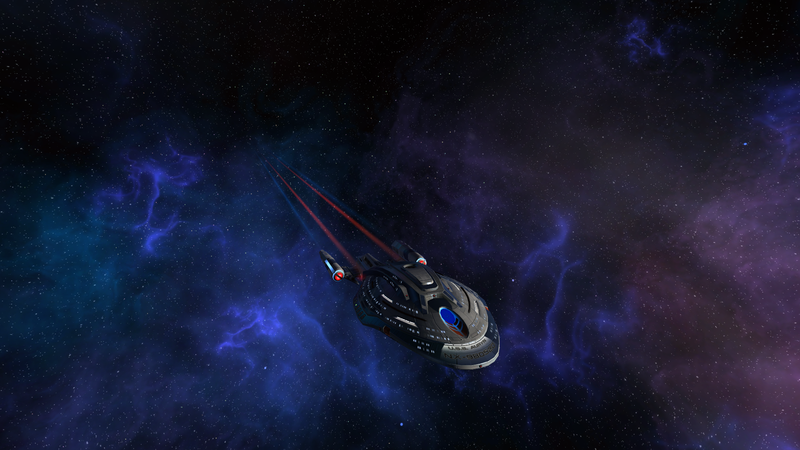 The Deep Space Vessel turns like a cruiser and I cannot really recommend it. I also encourage you in the “PvPvE” Warzone vs the Borg in the Kerrat system – scanning nodes and destroying mission specific repair hubs gets rewarded with very nice blue gear, like in a fleet action. Actually, I’ve not read the book, but I did see the movie quite a few years ago. I’ll have to pick the book up. I didn’t actually remember the name of the talisman, I was just doodling last night with letter combinations based on the three Kaes I’d made so far and trying to come up with a consistent word that matched their language. Just goes to show that there’s nothing new under the sun. I actually started with the word Aurora and was doing some variations to make it sound Kae, three syllables was one too many and I wanted to include a y. I’m trying to keep the naming consistent while I work on their background stories and the general story of how the Kaes joined the Federation. I did look a little at the T5 science vessels and noticed that one was science+tactical and the other more engineering. I’ll likely go with the sci+tactical just because that fits my current playstyle the best. 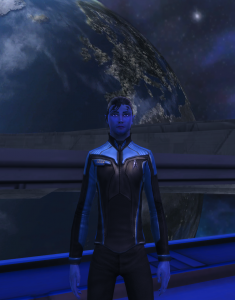 I do like the shield abilities my engineer Nayl has (emergency power to shields and reverse polarity) but I found those much more useful in the Akira, in the Nova and Discovery vessels I haven’t needed to rely on those skills as much. That’s a good captain’s log and a pretty decent looking ship there, captain! Congratulations again on the promotion! Grats Capitan! The U.S.S. Auryn looks like a mighty fine ship too.